We are a diverse multi-ethnic community of people of all ages who together seek to worship God, follow Jesus and live the Gospel in the power of the Holy Spirit. We seek to be Christ-centred and outward-looking. We rejoice in being a part of the Southall Group Ministry of five Church of England parishes working closely together consisting of St George's, Emmanuel, St John's and St Mary's as well as Holy Trinity. To find out more, click here. Our worship is a blend of modern Catholic and Charismatic, and we expect to encounter God in worship through serious engagement with his word to us in the scriptures; through the sacraments; and through the gathered community of his followers, the body of Christ in this place. 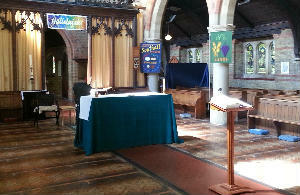 We would be delighted to see you at any of our services of Christian worship. To find out more, click here. The Salaamati Project seeks to improve the health, wholeness and wellbeing of all in the local community by providing a range a high-quality services tailored to the needs of people in the area. 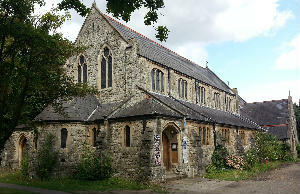 It will launched in September 2014 and is joint initiative of Holy Trinity Church Southall (where the project will be based) and Ealing Trinity Methodist Circuit.